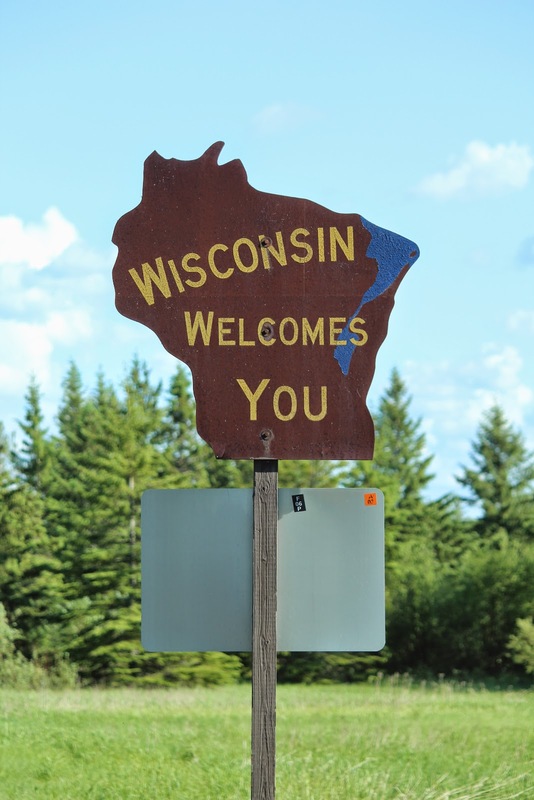 Over millions of years, the forces of nature have given Northwest Wisconsin some of the finest scenery in the world. The most striking feature is Lake Superior, largest freshwater lake in the world and the "Gitche Gumee" of Henry Wadsworth Longfellow's "Hiawatha." There are hundreds of species of animal and plant life: bear, beaver, deer, wolf, eagle, bluejay, grosbeak, shorebirds, waterfowl, grouse, chickadee. Plants include spruce, white birch, tag alder, popple, trillium, violet, daisy. For thousands of years before the white man came, the Indians ranged over the land in search of food and furs. In the 1600's, the first coureur de bois was followed by hundreds of others. Men like Father Allouez, Duluth, Radisson, Groseilliers, Carver, Cadotte, Schoolcraft, came for exploration, missionary work and fur-trade. They were followed by the lumberjacks and the lumber companies, copper prospectors and miners. Welcome to beautiful and historic Northwest Wisconsin. 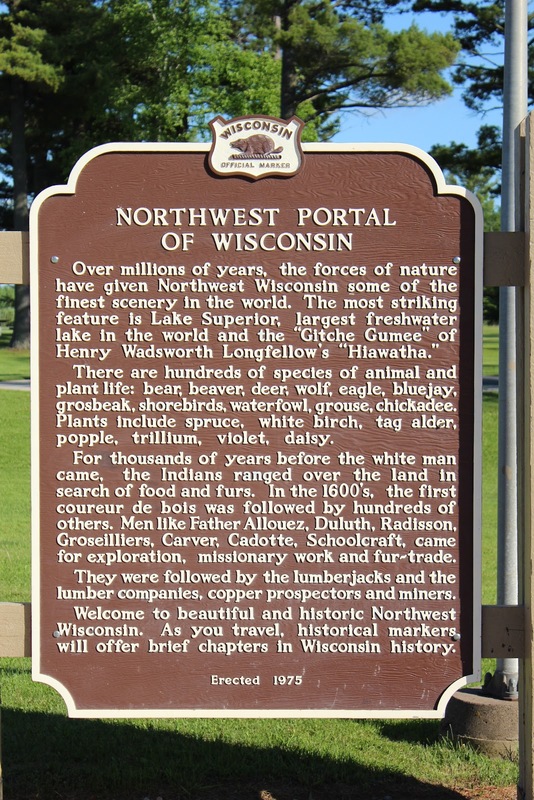 As you travel, historical markers will offer brief chapters in Wisconsin history. 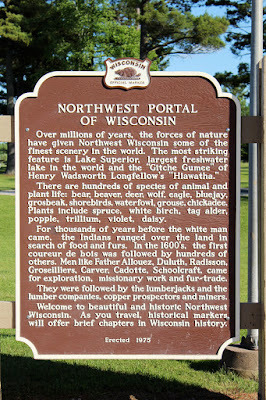 The marker is located at Rest Area 23 on eastbound U.S. 2 / U.S. 53, just east of its intersection with East 3rd Street / 57th Avenue East / Moccasin Mike Road / County E, Superior, Wisconsin 54880.